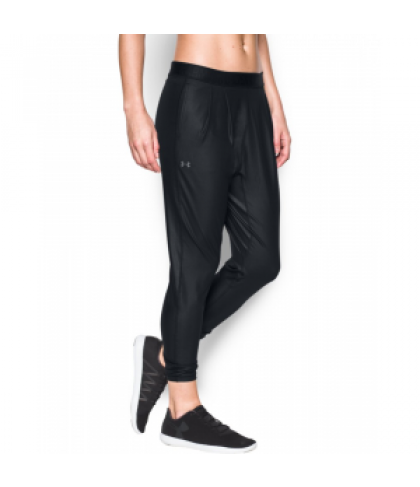 Under Armour Women's City Hopper Shine Harem Pants UA StudioLux(R) Shine fabric delivers relentless support with a super-soft luxurious feel. Unique harem construction flows from a generous hip & thigh to a slim, fitted ankle. Material wicks sweat & dries really fast. 4-way stretch construction moves better in every direction. Soft stretch waistband with Branded elastic back detail. Hand pockets to stash your stuff. Inseam: 25.75".